• What to plant is determined by the weather. My notes are relevant to the areas where you plant the tomatoes in the dry season. This is my test of whether it is a sub-tropical or tropical climate. Tomatoes planted for the wet season will grow long and spindly but will not fruit before the dry season. Plants which have self-seeded are naturally germinating now, the beginning of the dry season. • April is a transition period from the wet season to the dry season and so planting is risky. There is a low forming up north so there may be some more heavy rain. This wet season has not been wet, with only a week or so of wet weather. The strong winds which signal the end of the wet season, called the ‘knock-em-downs’ in Darwin can cause a lot of damage in the garden. Seeds can be washed away and young plants bashed and drowned. 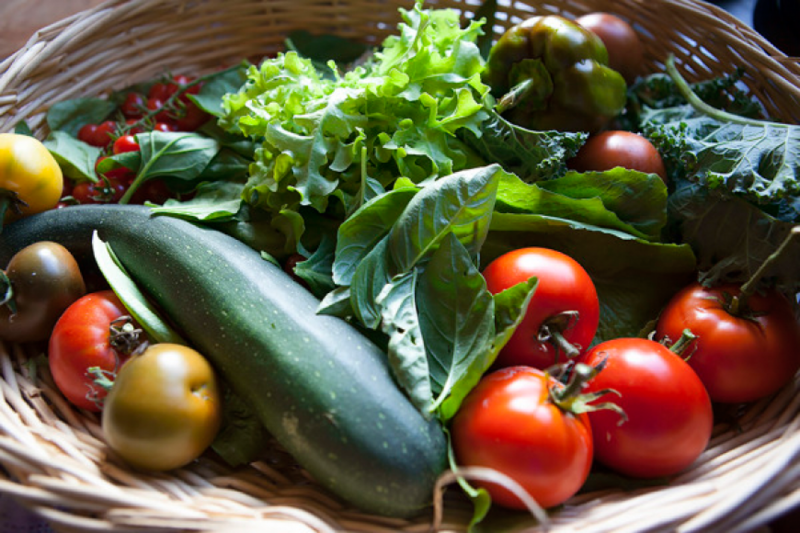 • Now is the time to plant all the cooler climate vegetables vegetables that are normally grown in summer in the cooler climates. Try everything you want to grow. The list is endless. I put in kale sometimes, knowing that the flavour is not the best without a frost, and hope for some unusually cold weather. • Continue to practice crop rotation to reduce the likelihood of pest and disease infestations and to manage the fertiliser in the soil. • The weeds have not stopped growing vigorously so keep on top of them. • Fertilise trees and perennial plants with trace elements to build the soil up for the dry season and replace micronutrients leached by the heavy water inundation. • The citrus leaf miner is active so I just pull of the affected leaves and put them in a plastic bag for binning. Most of the time I don’t even notice them and the world does not end. • The sweet leaf is slowing down as the weather cools down so stop harvesting for the dry season. • Bananas and longan are still being harvested. • Feedback can be positive or negative and both are necessary to teach us about the system and it’s needs. • The distance and disconnectedness between elements of the current system reduces the likelihood of feedback being noticed and interpreted correctly. The productivity of our soil is decreasing but the general population is not aware of this nor are they aware of the amount of artificial intervention required to produce our food. We are also not aware of the resource cost of what we consume or what we export. • The capitalist system negates the validity and reliability of feedback to survive. It depends on ever increasing consumption. This does not indicate that the capitalist system is all negative as it is not. The disconnect between production and consumption and the impact of advertising serves the vested interests and not the long-term interests of society or the planet. • The permaculturist is aware of, and open to the information provided by feedback systems. This is relevant to our income source, our food production, maintenance of soil fertility and structure and the plants we grow. If we listen to the feedback we will learn what grows in our climate without massive amelioration of soil and climatic conditions. Why grow food plants that require a greenhouse when we can choose to grow plants that suit our climate and garden conditions? • My lack of any pest control in the garden is based on the belief that the system will provide the controls it needs to work in balance and harmony. The pest may attack a plant but the predator is on hand to control but not eradicate the pest. If the pest was eradicated then there would be nothing left for the predator to eat and it would therefore move out or die. • Listening to the feedback may tell us that we need to be looking for other sources of income. The typewriter repairman may not have seen the rise of computers and therefore would not have realised that he needed to find another way of generating income. The repairman who did see the signs can retrain in another area or specialise in working on typewriters in museums. • Without negative and positive feedback we do not learn and adapt to changes needed for survival. On the topic of the tropics, support a tropical permaculture initiative. 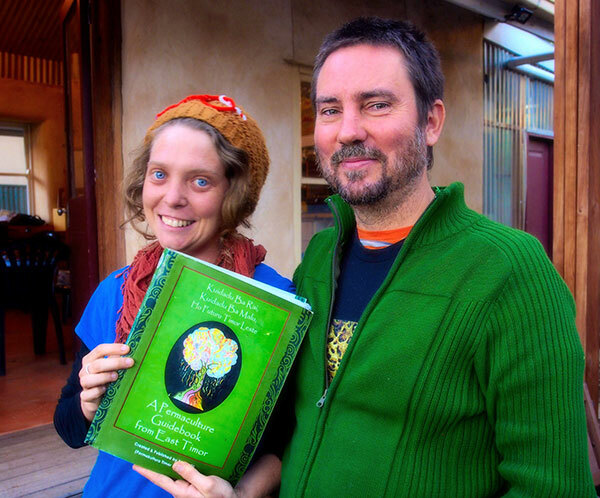 The tropical permaculture bible, “A Tropical Permaculture Guidebook“. According to leading permaculture educator and designer, Darren Doherty, it has long been the “go-to manual for tropical human settlement design, development and management”. Well folks, they’re making an updated edition and it needs your support. Go here to read more and to support it by satiating your coffee addiction with the radically fair and organic, Timor! Coffee.